The skull I get but why the mirror and remote? 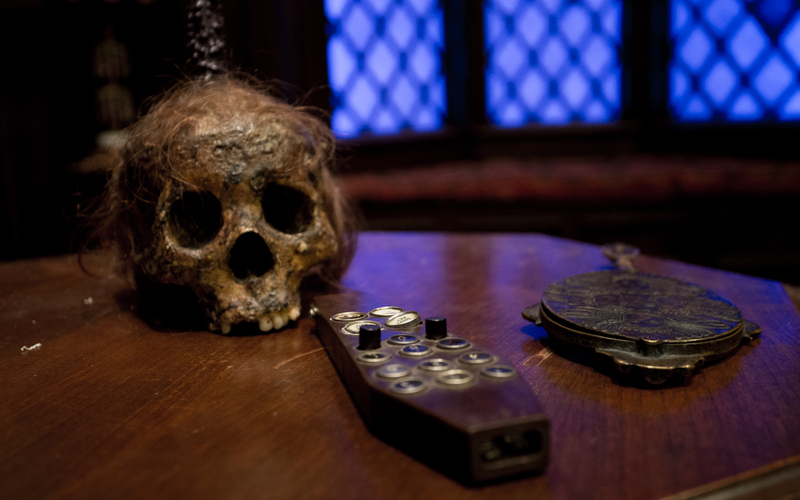 The skull I get, but why the mirror and remote? The remote…well so we don’t have to get out of our chairs. The mirror? Vince is something of a dandy.